What they promise: The ultimate in super-speed, frizz-fighting, hair-protecting, Tourmaline ceramic drying and styling power. Leaves hair feeling remarkably healthy, radiantly beautiful and incredibly vibrant. Gotta love this one! It was so quiet the first time I used it, that I almost thought it wasn’t working. But the technology allows to be super-light and super-quiet, so you’re not getting that blast of hot air all over (you know, the kind that can sometimes burn your scalp?). 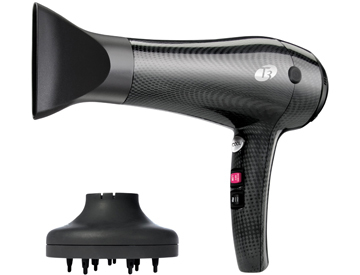 It has 4 temperature settings (3 varying levels of heat and one cool), comes with a diffuser attachment (if you have naturally curly/wavy hair) and dries your hair so much faster than you’d expect (I have a ton of locks, but it only took about 10 minutes after towel-drying!). And, the faster the hair dries, the less damage it has to withstand. More time in my day and less heat damage: win-win. It is a bit pricey ($250; available at Sephora), but for something you could potentially need to use every day, it’s a worthy investment.